In 2009, New Jersey enacted a law aimed at reducing deaths or injuries to roadside emergency workers such as police officers, firefighters, ambulance drivers, road crews and tow truck operators. • Reduce their speed below the posted speed limit and be prepared to stop if a lane change is impossible, is prohibited by law or is unsafe. 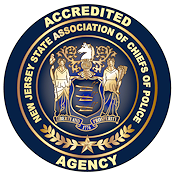 • New Jersey is one of 30 states that also requires drivers to use caution, change lanes or reduce speed for parked tow trucks with flashing amber lights and highway maintenance or emergency service vehicles with flashing yellow, amber or red lights. As an example, if you are driving in the slow lane of a three lane highway and are approaching a police or fire department vehicle, ambulance, tow truck, highway maintenance or emergency service vehicle parked on the right shoulder with flashing, blinking or alternating lights, you are required by New Jersey law to move into the middle lane. If this action is impossible or unsafe to do, you must reduce your speed and be prepared to stop. The same is true if you are driving in the fast lane of a three lane highway and are approaching such vehicles parked on the left shoulder. A driver found guilty of violating New Jersey’s Move Over law faces a fine of $100 to $500. Like many motor vehicle laws, New Jersey’s Move Over law is designed to save lives and prevent injuries. The life you save or injury you prevent might be your own.